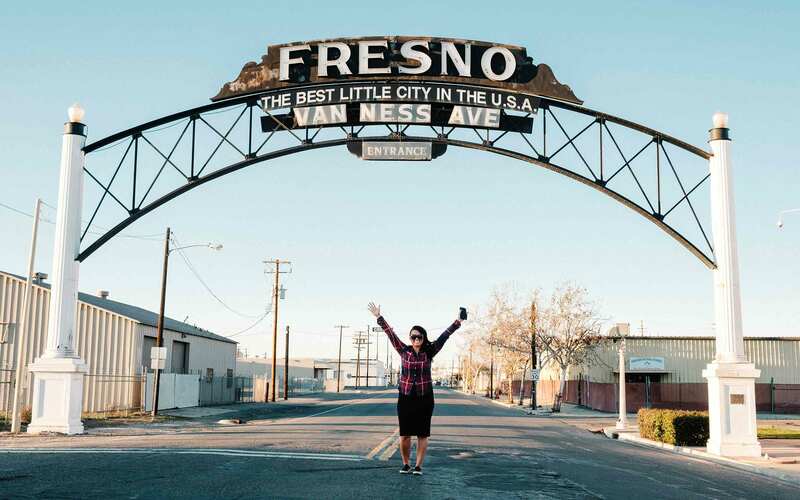 ‘The best little city in the USA’ is rich with culture and some of Fresno’s most talented artists are using their craft to create works of art reflective of our city’s diverse upbringings. 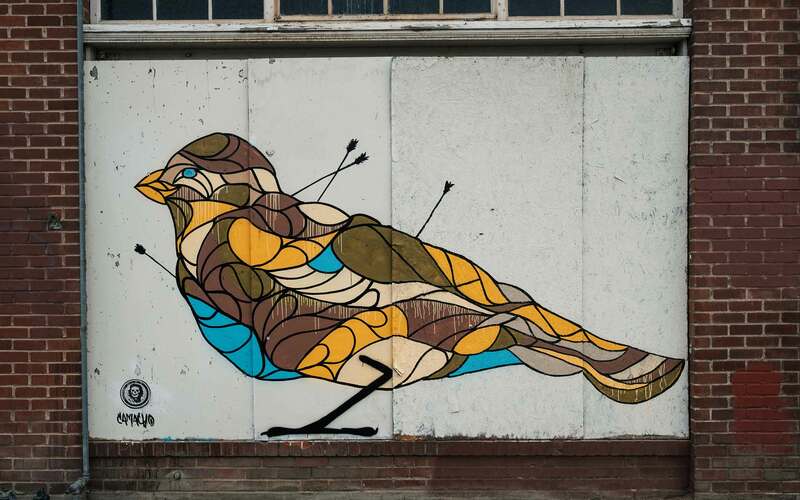 In the shadows of Downtown’s skyscrapers and historic buildings, artists have made their mark- bringing splashes of life to otherwise neglected buildings. 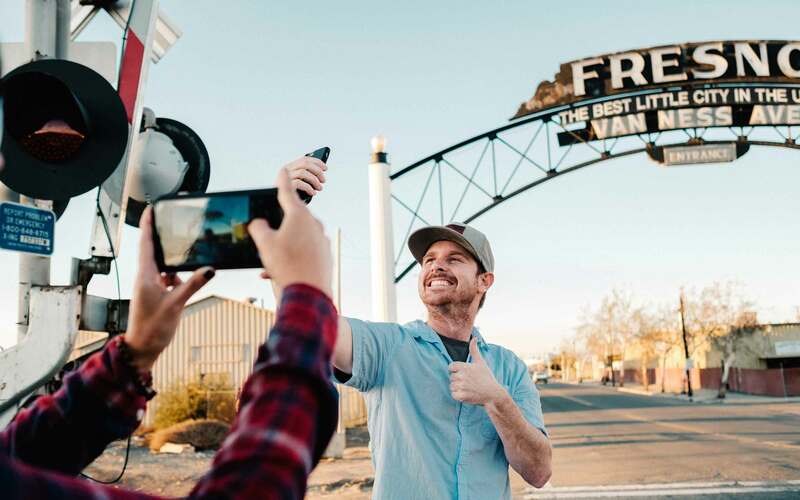 These vibrant creations are also easily some of the most instagrammable backgrounds for influencers and out-of-towners alike. It can be challenging to get a clear view (and shot) of the entire Downtown area unless you have rooftop access to some of those buildings. However, if you don’t have the luxury of having friends in high places (#seewhatididthere), there’s always the option of using the pedestrian walkway on Stanislaus (accessible at Fulton Street or H street). Once you arrive to the top of the bridge, you’ll be able to take in the beauty of our wonderful city in a breathtaking way. 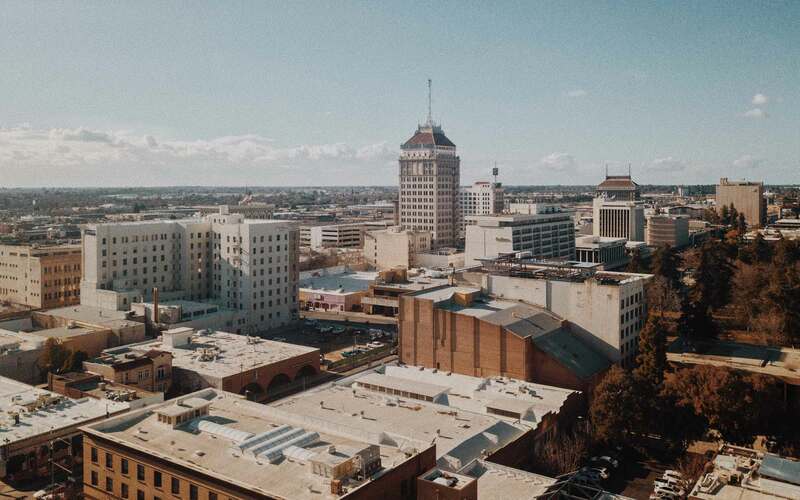 This iconic arch is close to 90 years old and is arguably one of the most photographed landmarks in Fresno, sitting at the heart of Downtown. 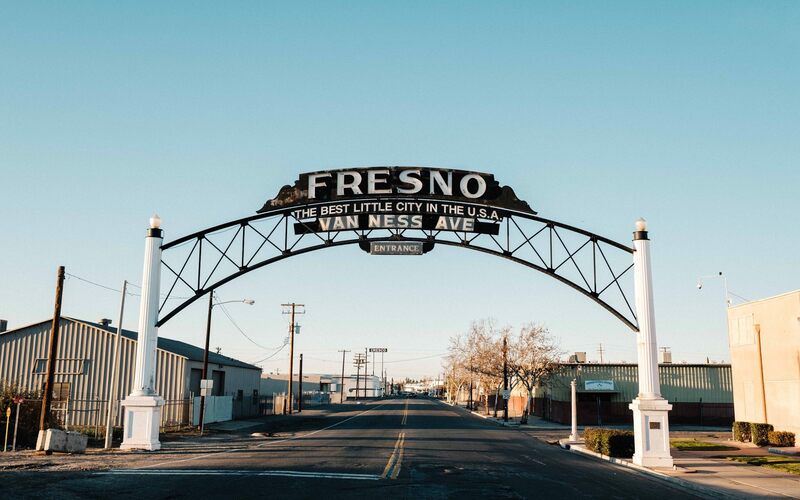 What once served as the ‘unofficial’ welcome sign into the city, the Fresno Arch was recently in danger of having to relocate due to the high speed rail project. For now, it seems like it is here to stay! But beware, getting the #moneyshot underneath the arch requires getting in the middle of the street, so think about bringing someone (or two!) with you to watch out for oncoming traffic. 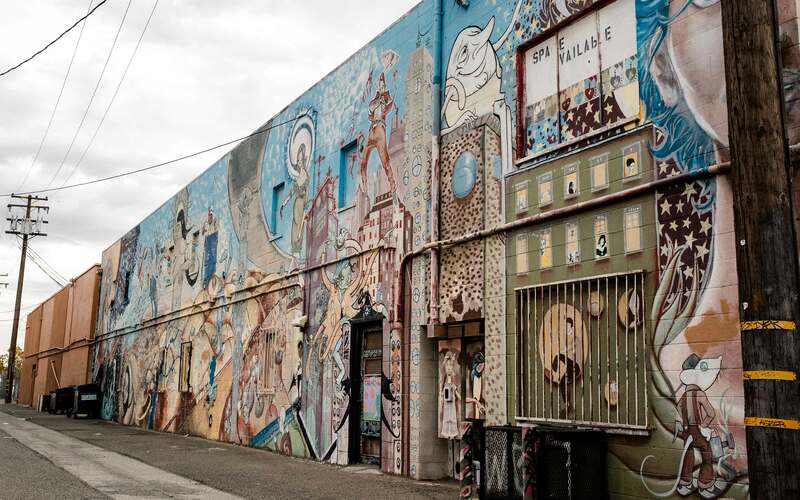 The six block stretch recently completed a multi-million dollar renovation project reopening the street to traffic, and a big portion of that budget went towards keeping all 19 of the historic pieces of artwork intact. 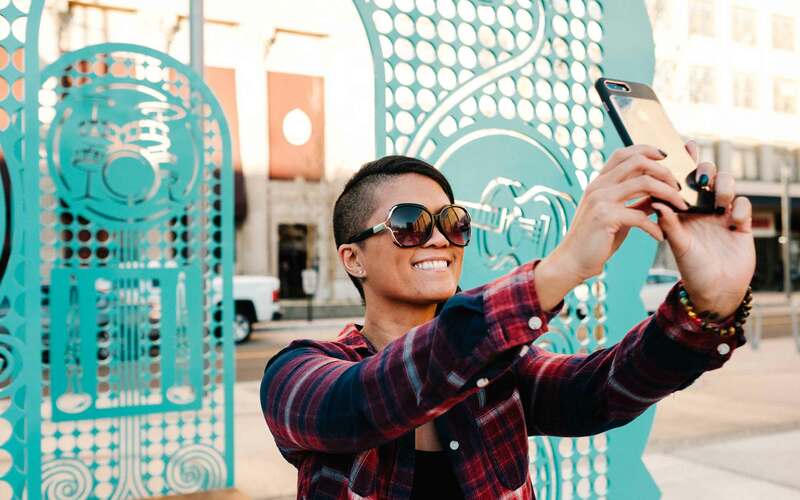 Most of the artworks you’ll see are Instagram-worthy, depending on your mood (also depending on what you’re wearing), and the street’s historic buildings alone are a good enough backdrop. And for the first time since 1964, Fulton Street has welcomed a new installment into the Fulton Street collection. 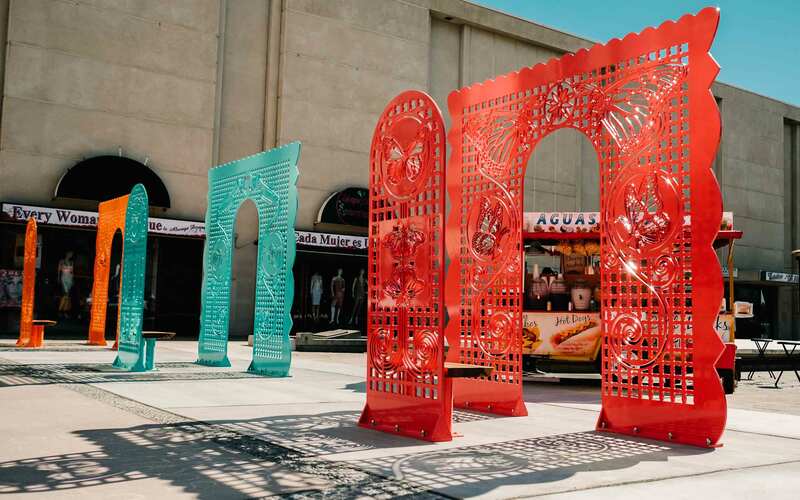 The artist behind these bold and colorful steel pieces (Gordon Huether) says the inspiration behind them came from Valley agriculture, music, and butterflies (a nod to Mariposa Plaza, where you can see this installment for yourself). It’s also pretty obvious he designed these with instagrammers in mind, as there are seats built into each piece that are meant to make the installation an interactive experience! This hidden gem on Fulton Street is known for its California burger and internet-breaking after-hours events, but there’s something else that gets visitors buzzing. 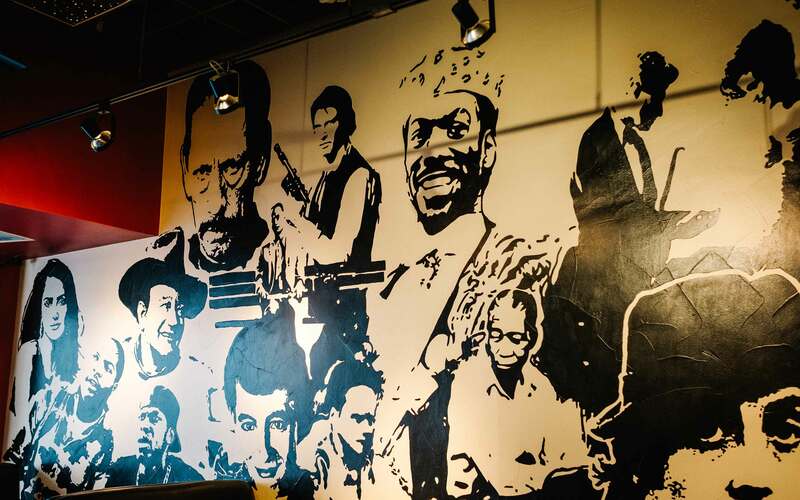 Murals inside the four-year-old restaurant celebrate some of pop culture’s finest. Where else can you get a good meal with Eddie Murphy, Tom Cruise, and Salma Hayek? 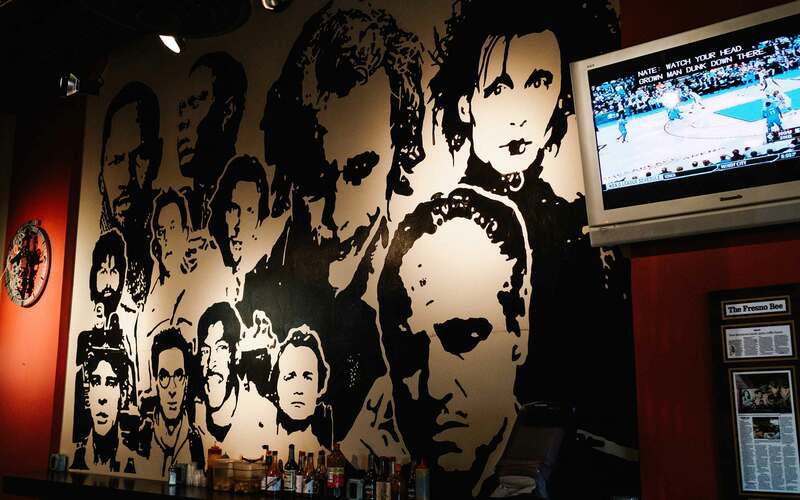 The man who designed and painted each image onto the walls of the restaurant is Jason Esquivel. He says the hardest part of this project was narrowing down the list of celebrities to feature. You can see some of Esquivel’s other work at Kocky’s, Just the Tip, and at Sunnyside High School’s library. Chillin with the Ghostbusters at Take 3 with @sloppystitches! 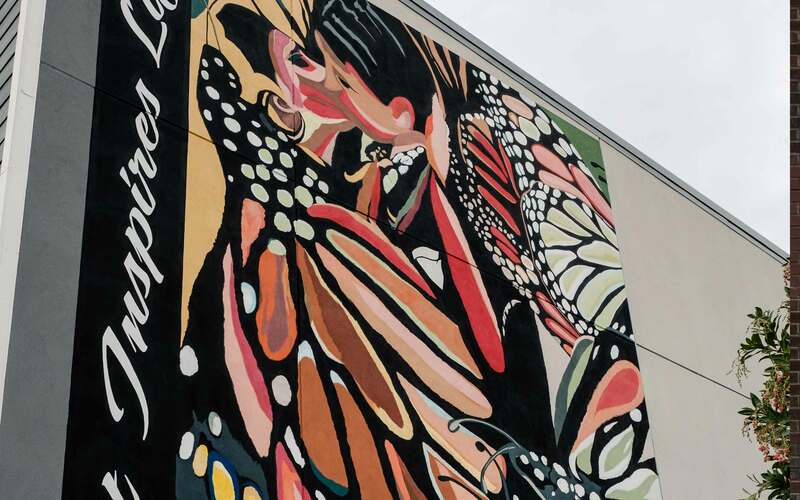 Fresno is home to more than 260 murals, with a majority of them found in Downtown Fresno’s Mural District. The pieces you’ll see are the works of various local artists and come in all sizes, fitting different themes, giving you plenty of backdrops to choose from depending on your mood! 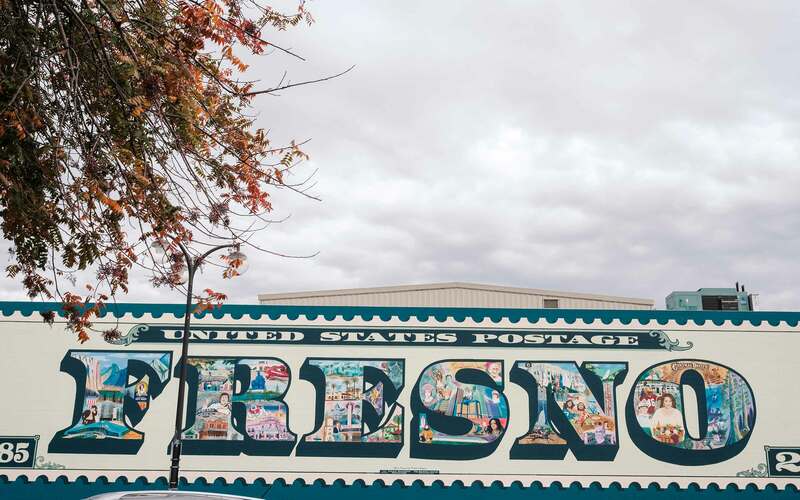 But if you’re a local hosting an out-of-towner, you must take them to the Fresno Stamp Mural at Tuolumne and Van Ness (near CVS). 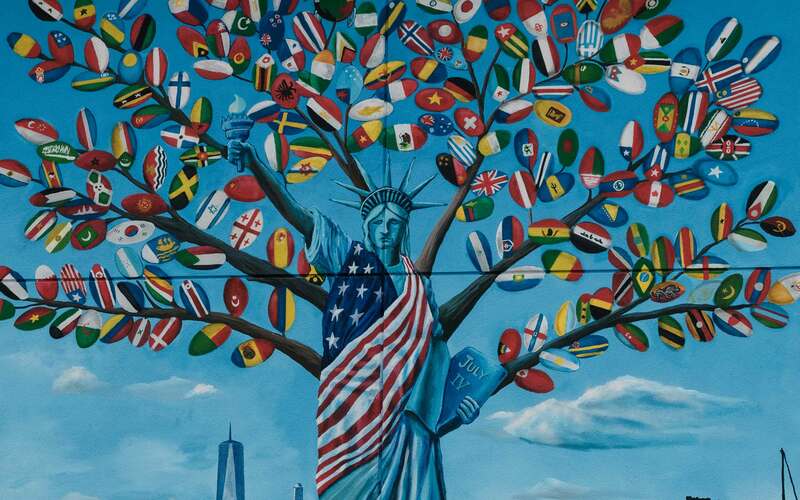 This masterpiece celebrates some of our city’s most famous landmarks and people (William Saroyan and Audra McDonald). For nearly 70 years, this massive, three-story structure served a purpose—storing 250,000 gallons of water. Its pumping machinery eventually became outdated, leading to the space being used by different groups (currently the City’s Visitors Information Center, as well as the Fresno Arts Council’s gift shop). 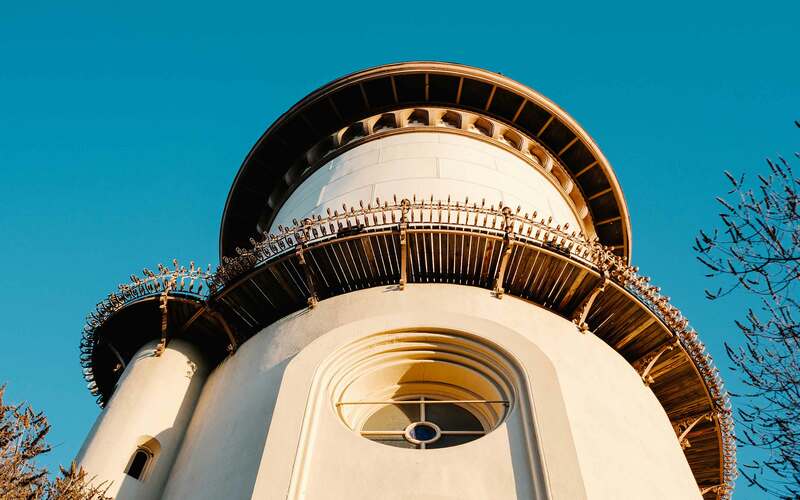 Despite going through all those changes, the water tower remains one of Fresno’s most distinctive architectural symbols. 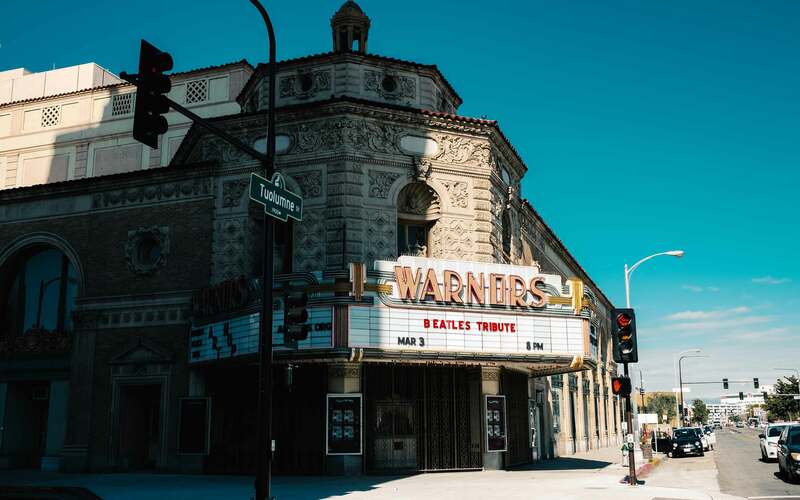 This beauty is also listed on the National Register of Historic Places. These are just some of our favorite locations. We know there’s plenty more out there! The best part about the ones we shared: they’re all easy to find. Happy ‘gramming! We are looking forward to seeing the masterpieces you take in front of your favorites. Know a Downtowner with a story? We love getting suggestions about people to feature in our series. We don’t know everyone or everything about our community, so we enjoy when our readers share new leads with us.